The range of facilities, technical staff and impressive campus made NTU a front runner in my choice of study. "The range of facilities, technical staff and impressive campus made NTU a front runner in my choice of study after visiting an open day and completing a tour. "My project is based on an insight into the perception versus reality of a notorious council housing estate in Dublin, which was noted for its initial luxurious launch in the 1960s and eventual failure and demolition in the past few years. I am combining hand flat knitting and power knitting while also exploring different applications onto knitwear such as embroidery, screen printing and mould making. Having access to this machinery is really great as it allows me to push my ideas even further. "The academic staff are encouraging and inspiring, extremely helpful and understanding of my ideas while the support from the technicians in problem-solving and guidance is second to none. "Nottingham is a small, manageable city with a great creative undertone and friendly atmosphere. For me also, it's easier financially to manage than the high tuition and living costs of universities in London. "I would recommend this course as it's a great way to explore in more depth, different aspects of knitwear. Attending NTU alongside a diverse range of students from different backgrounds, experiences and cultures makes this course extremely enjoyable to be on. 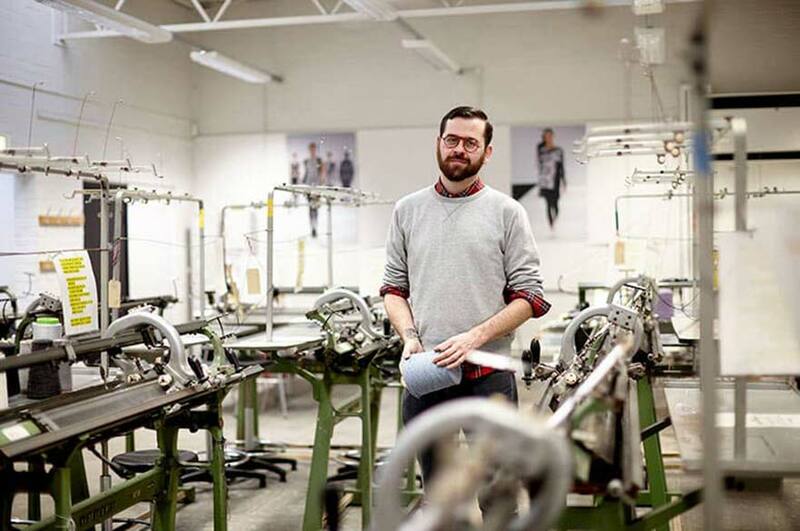 Having worked in production and sourcing for knitwear in industry previous to returning for MA, I feel this course will allow me to pursue more design orientated roles in the industry."